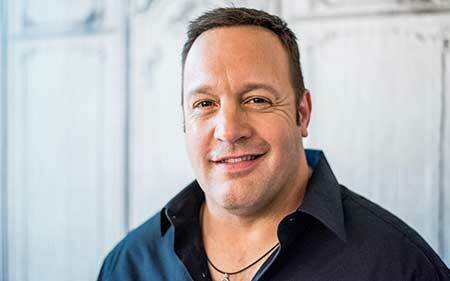 Kevin George Knipfing aka Kevin James is active in the entertainment industry since 1989. 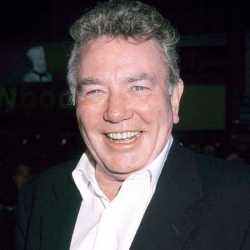 He is best known as actor, comedian, screenwriter and film producer. His breakthrough role is Doug Heffernan in the CBS sitcom The King of Queens (1998–2007) which garnered him a huge number of popularity among international audiences. Some of his popular screen credit includes Hitch (2005), I Now Pronounce You Chuck and Larry(2007), Paul Blart: Mall Cop (2009), Grown Ups (2010) and others. Kevin James was born Kevin George Knipfing on April 26, 1965, in Mineola, Long Island, New York, U.S. He is the second son of Janet James, a chiropractor's office, and Joseph Valentine Knipfing Jr., who owned an insurance agency. He was raised in Stony Brook along with her elder brother Gary Joseph Knipfing and sister, Leslie Knipfing. James is of German descent. He graduated from Ward Melville High School and he reached the number one spot on the wrestling team in the school. 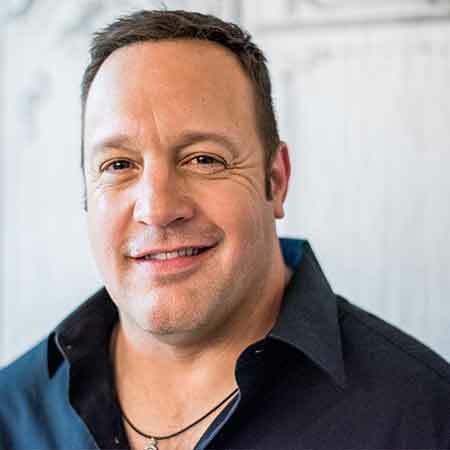 Kevin James started his career as stand-up comedy in 1989, making his debut at the East Side Comedy Club on Long Island. He rose to fame after appearing in the various talk shows, including Late Night with Conan O'Brien, Dennis Miller Live, The Rosie O'Donnell Show, The Ellen DeGeneres Show. James starred in commercials for Mazzio's Italian Eatery. In 2001, he did his own stand-up special, Kevin James: Sweat the Small Stuff. He got his first television job in 1991 on The New Candid Camera. Then the hosted the MTV sports game show SandBlastfrom 1994-96. Later, James moved to Los Angeles in search of better opportunities. 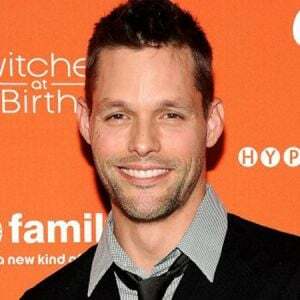 He guest-starred on a few episodes of Romano's hit CBS sitcom, Everybody Loves Raymond. In 1998, he got his major role in CBS sitcom, The King of Queens where he played the role of Doug Heffernan for which he earned Primetime Emmy nomination. In 2010, he anchored Nickelodeon Kids' Choice Awards. Kevin James debuted in films in 2005 in the romantic comedy, Hitch. Then he appeared in a number of films including, I Now Pronounce You Chuck and Larry, You Don't Mess with the Zohan, Paul Blart: Mall Cop, The Dilemma, Sandy Wexler. In 2007, he was the grand marshal for the Pepsi 400 ad which was popular for its NASCAR commands, "Gentlemen, start your engines". Kevin James' net worth is $80 million at present. He is one of the highest paid standup comedians. He earns more than $12 million from films and $3-$4 million from TV shows in an average. His career took off in his early 30s when he met fellow comedian Ray Romano, and making recurring appearances on the popular TV sitcom “Everybody Loves Raymond.” That role led to a spinoff of his own, “King of Queens” from 1998 through 2007. James won an NRJ Ciné award in 2005 for Best Kiss in the film “Hitch.” Nominations include Teen Choice Awards for “Hitch” (2005) and “Paul Blart: Mall Cop 2” (2015). His first comedy series, “The King of Queens,” was nominated for an Emmy in 2006. 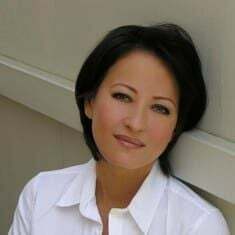 Kevin James married actress Steffiana de la Cruz on June 19, 2004, in California at an intimate ceremony in the presence of nearly 180 friends. The couple first met on a blind date arranged by his interior decorator. The duo is proud parents of four children, Kannon Valentine James, Shea Joelle James, Sienna-Marie James, Sistine Sabella James. He is an avid golfer and fan of the Ultimate Fighting Championship. James was ranked #89 on Comedy Central's list of the 100 Greatest Stand-Up Comedians. He shares a good bonding with standup comedian, Ray Romano. He is a member of Pi Lambda Phi fraternity.